Clients use their kitchen as far more than just a place to cook their meals. It plays host to art projects for children, family meetings, and celebrations with friends. Your clients want to spend their time in their kitchen, not spend their money on it. Make the most of this space and your client’s budget with the amazing kitchen remodeling products at ProSource® of Pittsburgh. 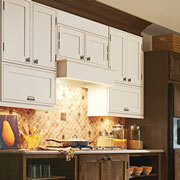 To provide your clients with valuable storage space and a way to enhance their kitchen’s decor. ProSource offers an unbeatable assortment of kitchen cabinet materials, styles, and designs so that your client can find cabinets that fit the vision of their dream kitchen. 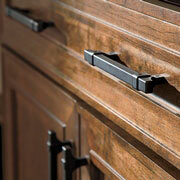 To help your client’s new kitchen cabinets really pop, browse our incredible assortment of cabinet hardware. We have knobs, pulls, and handles in a variety of materials and finishes that perfectly complement the design of your client’s cabinets. 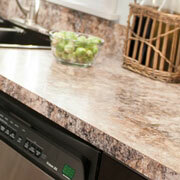 Modern kitchen countertops are available in many more materials than traditional laminates. At ProSource of Pittsburgh, our kitchen designers can show you countertops made from quartz, granite, marble, solid recycled materials. Your client uses this surface daily, so make sure they enjoy using it! The kitchen sink commands an impressive place in any kitchen. 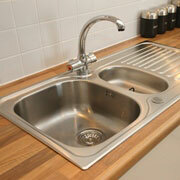 It’s used for dozens of purposes, so your client will want a kitchen sink as versatile as they are. Our showroom specialists can help you find sinks for any client, including single-, double-, and triple-basin sinks. 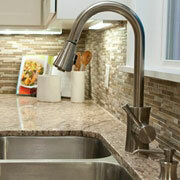 Set your client’s kitchen sink apart with a fine new faucet. Trade pros will find faucets with new pot and beverage filling spouts, and ergonomic handles and heads. A new faucet helps to make your sink fashionable and functional. We are proud to serve throughout the communities of Pittsburgh, Cranberry Township, Gibsonia, Wexford, and Seven Fields, Pennsylvania, as well as the surrounding areas. The ProSource of Pittsburgh showroom is conveniently located in Cranberry Township, Pennsylvania and serves all of the neighboring cities including Aliquippa, Allison Park, Ambridge, Baden, Bairdford, Bakerstown, Beaver, Beaver Falls, Brackenridge, Bradfordwoods, Butler, Cabot, Callery, Cheswick, Clinton, Connoquenessing, Conway, Cranberry Township, Creighton, Curtisville, Darlington, East Butler, Ellwood City, Enon Valley, Evans City, Fenelton, Fombell, Freedom, Georgetown, Gibsonia, Glenshaw, Harmony, Harwick, Herman, Hookstown, Indianola, Industry, Ingomar, Koppel, Leetsdale, Lyndora, Mars, Midland, Monaca, Natrona Heights, New Brighton, New Castle, New Galilee, Pittsburgh, Portersville, Prospect, Renfrew, Rochester, Rural Ridge, Russellton, Sarver, Saxonburg, Sewickley, Shippingport, Slippery Rock, Springdale, Tarentum, Valencia, Wampum, Warrendale, Wexford, Wildwood and Zelienople.